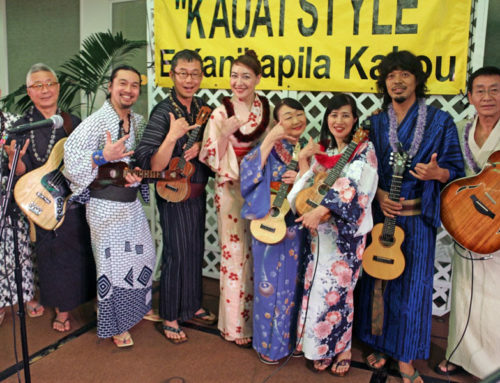 Kauai Beach Resort, 4331 Kauai Beach Dr.
Music, food & video celebrating the diversity & harmony of the varied groups that call Kauai home – Hawaiians, Chinese, Japanese & other immigrants from Asia, Europe and the Americas. choral ensemble, showcases its vocal versatility and diversity of styles, including classic contemporary, Latin rock, Broadway, African, jazz, gospel, Hawaiian, movies, Cuban, speaking choir, sound choir and classical. Written and directed by Richard Peck, this is a classic-style farce with mistaken identities, razor-sharp dialogue and split second timing that will have you laughing as the absurdity builds. 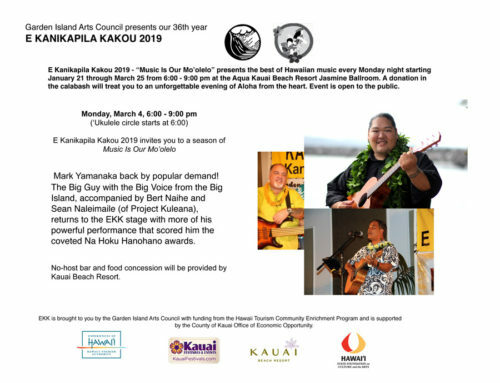 Kumu Hula/Composer Nathan Kalama will be sharing original material in Oli, Himeni, Mele, Poetry, Storytelling and Hula. 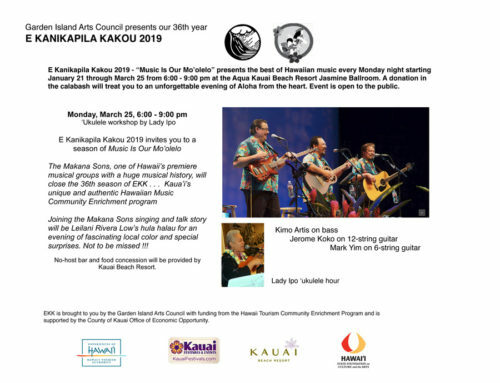 Na Kumu Hula Kehaulani Kekua, Maka Herrod and Troy Lazaro and their respective Halau will interpret some compositions. Good Grief! Our favorite comic’s kids are now in high school. Bert Royal brings us all those teenage issues of today – drug use, suicide, eating disorders, teen violence, rebellion and sexual identity – which collide and careen toward an ending that’s both haunting and hopeful. Did we mention it’s a comedy? Directed by Cass Foster, Angel Street is a mystery/thriller which tells the story of the Manninghams, who live on Angel Street in 19th century London. As the curtain rises, all appears to be in the essence of Victorian tranquility. Main street is lined with vendors selling Kauai Arts & Crafts, Kauai’s best musicians and bands playing up and down the street; lots of shops and restaurants have their doors open. 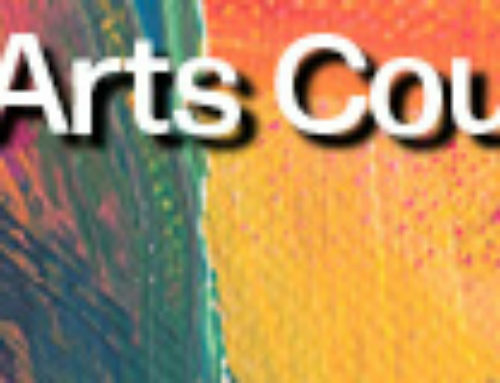 Kauai Island Crafters, 8:00 a.m.—2:00 p.m.
ome Studio located at Eyes Wide Open Productions Nawiliwili/Lihue as well as a satellite studio on the North Shore, Princeville community center. 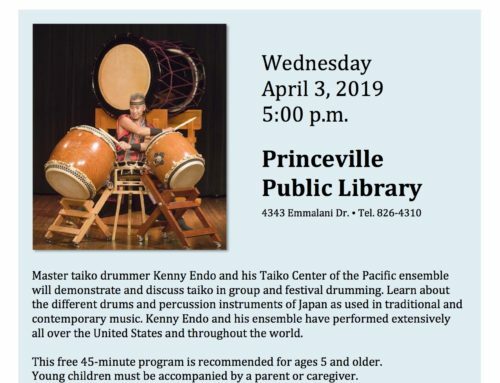 Every Tuesday and Thursday, 6:00 – 7:00 p.m.